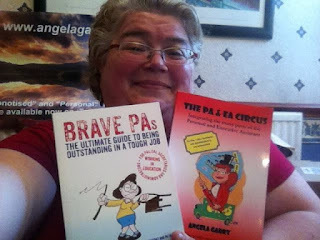 Angela Garry's PA & EA Blogspot: Sharing the Forewords for my two books "Brave PAs" and "The PA & EA Circus"
Sharing the Forewords for my two books "Brave PAs" and "The PA & EA Circus"
I'm so proud to have written my two books for the PA / EA community - and equally proud of the wonderful Forewords that were written for them. 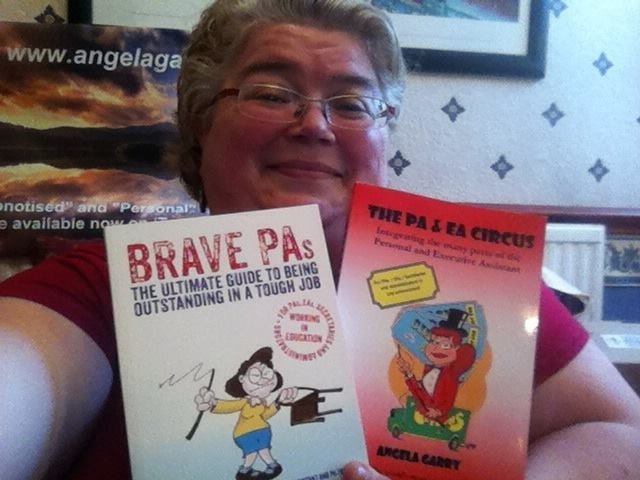 The first Foreword was for "Brave PAs", my book for educational PAs and secretaries. This was written by my former boss, Dave Harris - the most inspiring person I've ever worked for - who was the Principal of the Academy where I worked for 5.5 years. Dave is now the Managing Director for Independent Thinking Ltd - a group of educational speakers. The second Foreword for "The PA & EA Circus", my book for PAs and EAs in any industry. This was written by one of the leading lights in the PA / EA profession: Lucy Brazier, CEO of Marcham Publishing (publishers of Executive Secretary magazine, and creators of the incredible ExecutiveSecretaryLIVE conferences worldwide). I'd like to share both with you. For the Foreword to "Brave PAs" click here - and for "The PA & EA Circus", click here. I'm really proud to have worked with both Dave Harris and Lucy Brazier, and honoured to know them as friends.